This webinar explores the combined use of the Malvern Panalytical Zetasizer Ultra and the Dolomite Microfluidics Nanoparticle Generation System to generate drug-encapsulating nanoparticles with improved monodispersity and higher encapsulation efficiency, and with better reproducibility than a batch system. 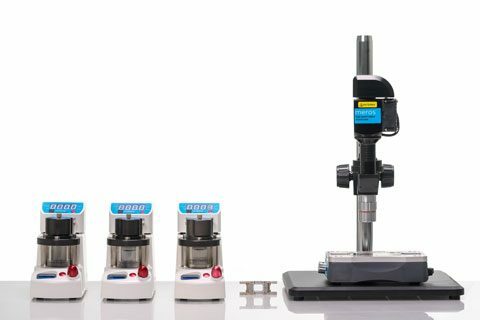 The Dolomite Microfluidics system enables very precise control of the size and composition of the nanoparticles. Applying the Zetasizer Ultra to characterize the nanoparticles enables faster and less expensive development of the microfluidic methodologies, due to the instrument’s unique Multi-Angle DLS (MADLS) capabilities. MADLS provides the speed and size resolution needed to identify distinct populations, allowing quick iteration and consistent production of nanoparticles of a very high quality. Provides robust products and modular system solutions focused on established and novel microfluidic applications, from lab to commercial scale-up. Provides solutions and services to enhance efficiency and deliver tangible economic impact through chemical, physical and structural analysis of materials. Pavel Abdulkin is the head of Particle Works (a Blacktrace company). After completing his Masters and PhD courses at Cambridge University Pavel has co-founded several technology startups including N4O, a company that specialized in removal of liquid rocket fuel in mobile continuous flow reactors. Pavel is currently responsible for business development of Particle Works and Dolomite microfluidics brands. Jake Austin received his Masters in Chemistry from the University of Reading, UK, in 2016. He joined Malvern Panalytical as an Applications Development Scientist, having previously worked for the company in 2014 as a Year in Industry student. Jake has recently been working on Malvern Panalytical’s newly-launched flagship instruments, the Zetasizer Pro and Zetasizer Ultra, and has contributed to the development of unique features, including MADLS and Particle Concentration. Dolomite’s modular nanoparticle synthesis systems apply high shear micromixing and hydrodynamic focusing microfluidic methods for polymer particle production ranging in sizes from 50nm to 500nm. The microfluidic technology of continuous and controllable laminar flow allows the production of high-yield and high-quality polymer nanoparticles. Plus, the superior control over the size, shape and morphology of particles enables greater reproducibility and scalability (up to kilos per month). These substantial improvements in nanoparticle generation are highly valued in pharmaceutical industry whilst compared to conventional batch methods. 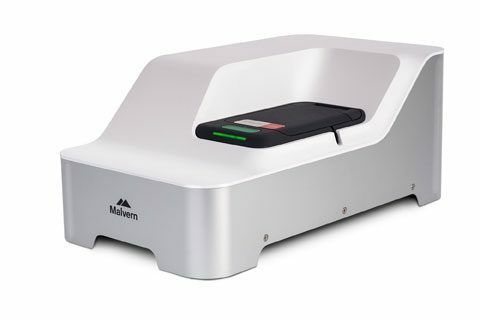 The new Zetasizer Ultra is most advanced system for the measurement of particle and molecular size, particle charge and particle concentration, and represents the most intelligent and flexible instrument in the Zetasizer range. Webinar will be hosted by Malvern Panalytical, hence why the registrations will only be accepted on their website. If you have any questions, please contact us at info@dolomite-microfluidics.com. Anyone working with drug encapsulation, liposomes or PLGA nanoparticles and would like to learn how about how to produce high quality nanoparticles and how to reliably characterize them. How microfluidics can be used to produce high quality nanoparticles and why using MADLS with the Zetasizer Ultra speeds up the development process.